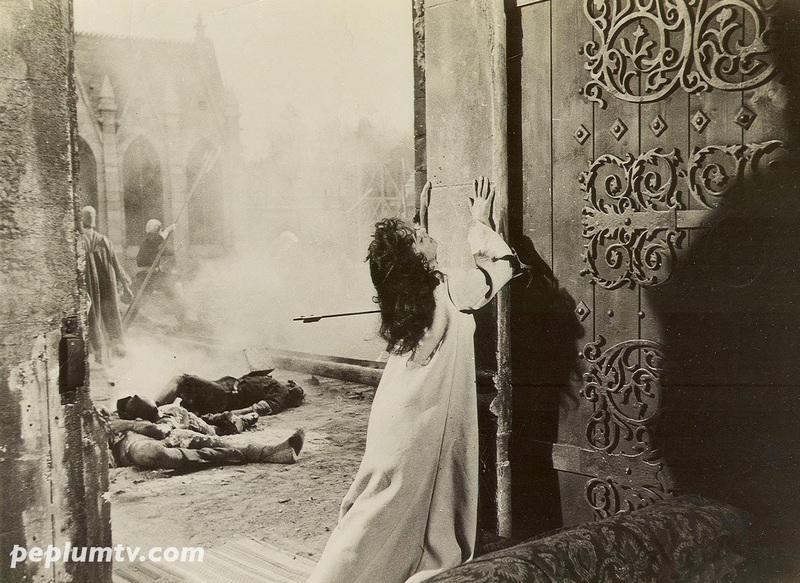 This sepia tinted photo of the death of Esmeralda convinces me that the super-colourful film should be seen this way. There's so much grittiness missing from this version, which I like, but it's a bit too bright and colourful and clean. Gina is the sexiest Esmeralda ever. Owwww. But unless the arrow struck an artery I doubt that one arrow would be enough to kill her or even throw her in unconsciousness. Look at how young and fit she is. She's Gina, after all.